Ten years have passed since the United States and allies invaded Iraq. Get an eye-opening look at how those ten years have shaped Iraq’s history, presented by Osher Lifelong Learning Institute at UC San Diego. Hamid Al-Bayati, Iraqi Ambassador to the United Nations, gives an insider’s perspective on life in Iraq through Saddam Hussein’s reign. Hear Al-Bayati explain what it was like to live amongst the shocking violence and war crimes while in opposition of the dictatorship. He describes the consequences of war that Iraqis faced and warns against the reality of war. 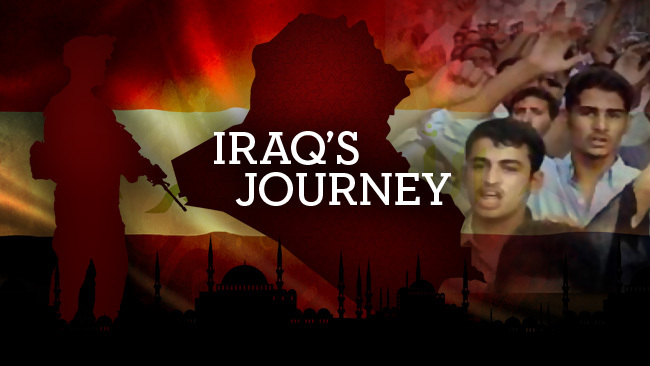 To learn more, check out these videos on Iraq. It’s been ten years since the U.S. and its allies invaded Iraq. How has the war shaped the country? Where is it headed? In two new programs, experts on the Middle East offer up their insights. Learn from leading experts in neurology, neuropsychology, neuroscience and geriatrics about how your brain works and how it changes with age. Presented by UCSF Osher Mini Medical School. Former UN High Commissioner for Human Rights and the former President of Ireland Mary Robinson shares her vision of climate justice, linking human rights to science in order to protect vulnerable populations and foster equitable stewardship of the world’s resources. What are the career opportunities in the burgeoning craft brewing industry? In this new presentation from The Career Channel, job seekers will learn the answers from a panel of experts, including Stone Brewing founder Greg Koch, who converse about why San Diego has become such a nationally renowned region for craft beer production, and where the professional brewing industry is headed. Can Global Warming Be Held to 2 Degrees Celsius above Pre-industrial? Dexter Filkins is one of the most respected combat journalists of his generation. His 2008 book, The Forever War, won the National Book Critics Circle Award for Best Nonfiction Book and was named a best book of the year by the New York Times, the Washington Post, Time and the Boston Globe. 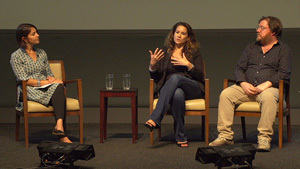 As part of a team of New York Times reporters, Filkins won a Pulitzer Prize in 2009 for dispatches from Pakistan and Afghanistan. In this lecture from the Interdisciplinary Humanities Center at UCSB, Filkins retraces the seven years he spent covering the wars in Iraq and Afghanistan, using vivid images by some of the best photojournalists working today. Filkins’ intimate knowledge of many of the main actors – American, Iraqi and Afghan – in two of the most polarizing wars in American history, gives him a unique perspective on these contemporary conflicts. Watch “Tales from the Front Lines: Reporting from Iraq and Afghanistan,” online now.